The Regiment Is Actively Recruiting Now! If you’re ready for the challenge of a lifetime, the Army Reserve will give you the skills and the training you’ll need to live, move, and fight in any conditions, anywhere on earth. Contact a recruiter by email at A&SHofC.Recruiting@forces.gc.ca or by phone at 905-972-4000, ext. 4012. Submit a completed application package to a recruiter. Attend and pass all testing (FORCE test, Canadian Forces Aptitude Test, Medical and Interview). Family members and friends are very welcome to attend. 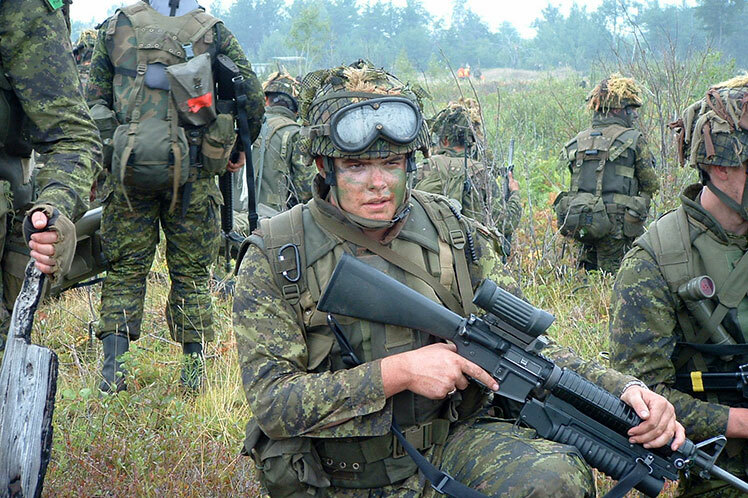 Our goal: To give you everything you need to make an informed decision about an exciting and well-paid part-time career as a soldier in one of Canada’s storied regiments. To book an open-house appointment, call (905) 972-4000, ext. 4012, or email us at A&SHofC.Recruiting@forces.gc.ca. Have completed a minimum of provincial Grade 10 education or Secondary IV in Quebec. Full-time students who have completed a provincial Grade 10 education, or Secondary IV in Quebec, may apply at the age of 16 or 17 with the consent of a parent or legal guardian.